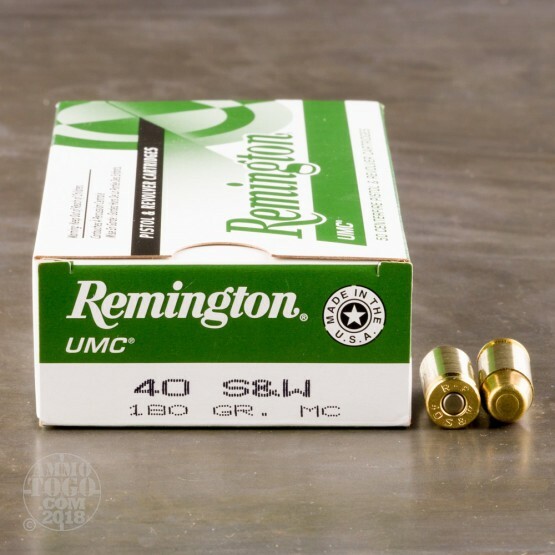 This is 40 S&W Remington UMC 180gr. FMJ Ammo. It is brass cased, boxer primed and non-corrosive. It is great plinking ammo. it comes packed in 50rd. boxes, 500rds. per case. Outstanding ammo. My sig p226 40sw tacops eats it up. When Was the .40 S&W Created? In the world of firearms, the .40 S&W is actually a fairly new cartridge. It was created in 1990 after an infamous shootout between two bank robbers and eight FBI agents. Two agents lost their lives in a gun battle that saw the law enforcement personnel heavily outgunned. Despite being hit by the agents, the bank robbers were able to continue fighting, although they were eventually killed by law enforcement. In the aftermath, the FBI commissioned the production of a powerful cartridge with manageable recoil, giving law enforcement stopping power while allowing for accurate secondary shots. With this goal in mind, the .40 S&W was born. What Does the “S&W” Mean? “S&W” stands for Smith & Wesson, the company that was primarily responsible for creating the cartridge. It is common practice, dating back to the 1800’s, to have companies put their names on ammunition. This is seen in rounds like the .223 Remington, .270 Winchester, and 9mm Luger. How Does the .40 S&W Compare to the 9mm Luger? While these two cartridges are often compared, due mostly to the overall popularity of both, they are distinctly different products. The biggest difference is size: .40 S&W is noticeably larger than 9mm Luger ammo and has a wider bullet and neck diameter. They do, however, have similar overall lengths. Because of the wider diameters, the .40 S&W generally has higher stats for power. Is a 10mm Auto the Same as a .40 S&W? No. While these two cartridges are similar in diameters, they are different in overall length. They both have bullet diameters of .4 inches, but the 10mm Auto has a longer overall length. The result is that the 10mm Auto generally fires at a faster speed and has more power compared to the .40 S&W, assuming the cartridges are loaded with similar bullets. The .40 S&W, however, has lighter recoil. In fact, it was designed to have a forceful impact with lighter recoil, which makes for accurate followup shots. 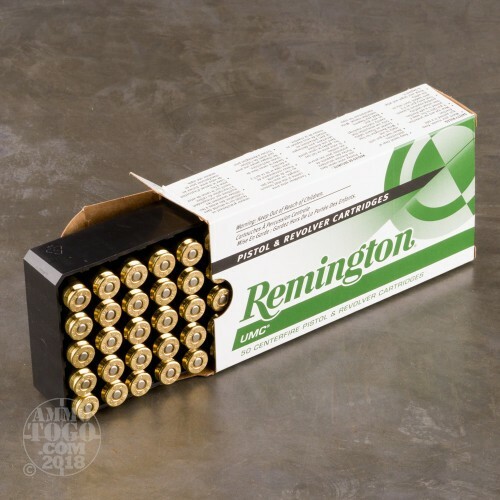 What Type of .40 S&W Ammo Should I Purchase? That depends on the purpose for your ammunition. 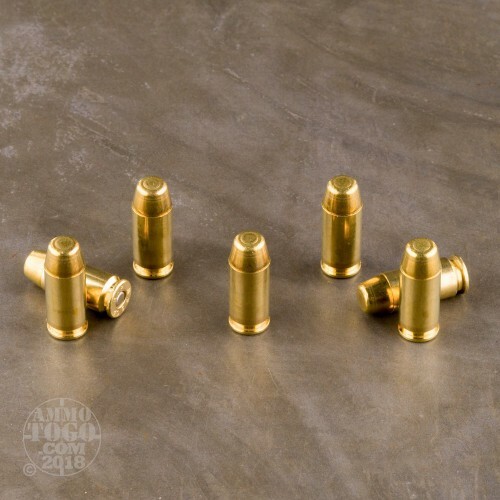 If you are using the cartridges for target practice or competition, you will likely want full metal jacket rounds, which cycle with greater ease and leave less fouling in the barrel. 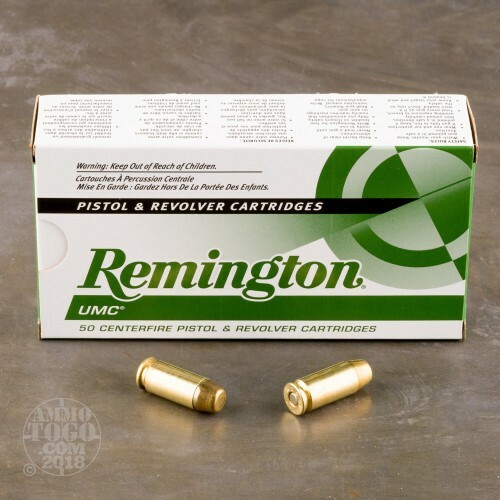 On the other hand, if you are loading your weapon for self defense, you will want expanding rounds, such as jacketed hollow points or jacketed soft-nose bullets.